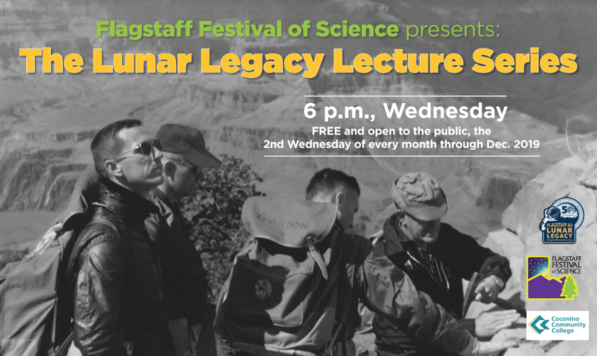 The Flagstaff Festival of Science will present the Lunar Legacy Lecture Series program — From the Mountain to the Moon, at 6 p.m. Wednesday, Feb. 13 at Coconino Community College, Lone Tree Campus. Scientists with the US Geological Survey throughout the Apollo missions, Drs. Ivo and Baerbel Lucchitta, offer a personal account of the historical role of the Flagstaff’s Astrogeology Center (USGS) in the exploration of the moon.